Summer is a busy time in the real estate market, with Wilmington DE homebuyers taking the time to tour homes for sale through open houses. However, if you're a first-time homebuyer, you may not know how to act at an open house. Don't worry! Like any aspect of Delaware real estate, there are guidelines to follow as you visit them this summer, but we're here to walk you through it! As you head out to visit available properties in New Castle County this year, keep the following tips in mind to practice smart homebuyer etiquette and soon you'll be a pro! Take note of your surroundings as you visit open houses in Wilmington and Newark, watching the other homebuyers and listening. You can tell a lot about a home if you see other buyers leaving quickly without taking the time to explore. Are they finding issues? Is the home not in great shape? On the other hand, if buyers are sticking around to ask questions, that can mean great things! Visiting open houses is one way to get a feel for the real estate market without committing. In addition to mortgage calculators, online home searches and researching local real estate news, open houses can help you learn more about how homes are priced in the area, what homes in your price range may look like and how quickly they're selling. Open houses are also an excellent way to start a relationship with a real estate agent. As you tour Wilmington area homes, do not be afraid to ask questions! The real estate agent present at the open house is there to answer your questions about the property, from taxes to operating systems to neighborhood and more. Remember, they have a direct line to the seller and often know more about the home than anyone. You can also make a list of questions to ask through your own agent, but regardless, ask away! Visit as many open houses as you can while you prepare to buy a home in New Castle County! You don't need to be committed at the time, but simply listening and watching other homebuyers can really help you get a feel for the market. In addition, the KG Home Team can provide you with all of the information you need about the real estate market in your area. Want to know which neighborhoods would be best for your family? What programs can help you as a first-time homebuyer? Just give us a call! We're here to help you throughout the entire buying process. Homeownership—much more than renting—can help you build your family's wealth. Not only is owning a home a means of forced savings, but your payment will not increase with every year like today's rising rents. It's truly one of the best long-term investments you can make! Inventory is sitting lower than it has been in past months and mortgage rates are trending on the lower end as well— so what are you waiting for? Now is prime time for Wilmington, Newark DE home sellers to make a move and list while motivated homebuyers are out and about. Many homebuyers in today's real estate market are ready to buy a new home simply due to lack of space. It's also another popular reason for homeowners to move on! Do you seem to have no room left in the closet? Is your family expanding? Do you have nowhere for guests to sleep when they come to visit? Upgrading to a larger home may be just what you need! Not every homeowner in New Castle County can say they have regained equity, although things have been proceeding in a positive direction. If you've regained equity in your home, you're in a great position to move. If you're not sure, you can always have your home re-appraised to determine if selling is the best idea for you right now. Real estate is all about location, so consider yours in your decision to move! Are homebuyers flocking to your neighborhood in search of available properties? Are homes selling quickly in your area? We are happy to provide a list of comparable listings to give you an idea of what your home may sell for this summer— just give us a call! In the summer months, we are all ready to get out of the house and change up the scenery. You do not need a better reason to move to a new home in the Wilmington area other than you're just ready for change! We understand and we're happy to help you find your dream home this summer. There are many reasons to sell your home in Wilmington or Newark this summer, but you shouldn't wait to long to decide! Mortgage rates will not be this low forever and with current inventory, your property could be pushed to the top of homebuyer lists. 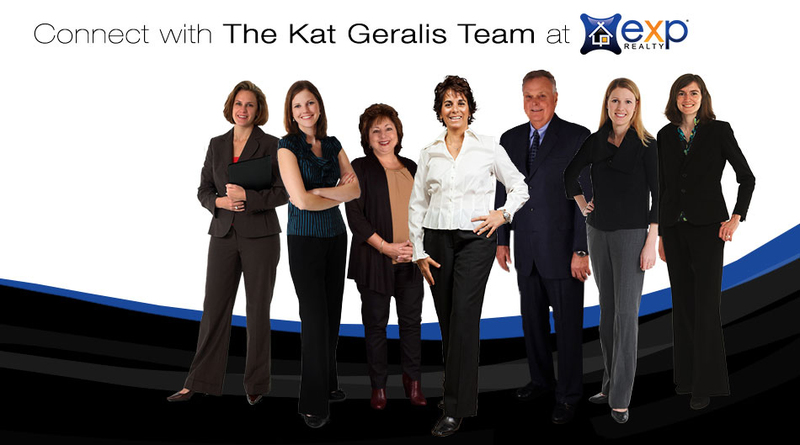 The KG Home Team will guide you through a successful home sale and answer your questions every step of the way. The real estate market has come a long way but right now, buyer demand is outpacing supply. If you're a home seller thinking about listing your home this summer, there is no doubt that now is the time!